How should I exit/close Pokemon Go without closing(swiping it away in latest versions of android) from the Recently Opened Apps menu? 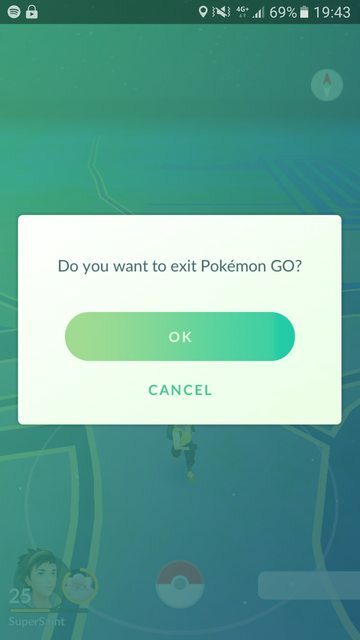 Back button doesn't show any option for me to exit..
Is there a (more) proper way in the Pokemon Go app rather than explicitly exiting from Android's own Recently Opened Apps menu? It depends on which phone you're using. If you are using an iPhone, you will need to "swipe" it to close it. 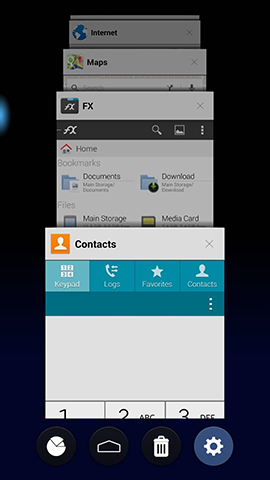 If you are using an Android OS phone (as it appears you are from the image provided), you can still "swipe to close", which will safely close the app. However, in extreme cases, you can "Force Stop" the app from the app settings menu. However this immediately and forcibly closes the app, killing all processes that may shut down the app safely. Doing so may cause a loss of data. The answer to your question is probably do nothing, as the system will do it for you. In most cases, you should not explicitly finish an activity using these methods. As discussed in the following section about the activity lifecycle, the Android system manages the life of an activity for you, so you do not need to finish your own activities. Calling these methods could adversely affect the expected user experience and should only be used when you absolutely do not want the user to return to this instance of the activity. This is probably why Niantic did not implement a back-button-to-close feature. All that being said, if you want to terminate the app because it's not refreshing properly (which happens often) the swipe method from the recent apps menu is perfectly acceptable and should not adversely affect your player data. Since none of the answers seem to mention it, I will. I'm an android user, so I'm only speaking about android. Swiping the app away from the app window only closes the actual app, but there's still a service left running (it's been running for over 11 hours, last I checked, so it's safe to assume it's not going to be automatically closed by android automatically). So, if you really want to fully exit Pokemon Go you should swipe it away in the active app list and then go to Application Manager > Running > Click Pokemon process there and Stop it. Edit: The issue seems to have been fixed. I no longer see any background processes running after simply swipe the app away. Now with new update Halloween, you can press back button and it's close! How many unique Pokemon are there in Pokemon GO? How many Pokemon can I catch daily in Pokemon Go? Why does my Pokemon Go app close back to homescreen every time I select a starter? How should I evolve this? How many levels do pokemon have in Pokemon GO? Should I keep Pokemon with high CP, Attack, or Weight? At what level / IV perfection should we power our Pokemon? How close do you need to be to a lure to discover “lured pokemon”?